Rachel Rohm is a girl with a big heart from the tiniest United State, Delaware, and one of our editorial interns this spring! She wears a ring from her university honors program, Torrey Honors Institute, that reads “bonum verum pulchrum,” which is Latin for “goodness, truth, beauty,” and through getting to know her, you will find those words describe her well. A Dressember participant since 2015, Rachel is passionate about fighting human trafficking, and using her wardrobe and her words to bring it to an end. “I want to use my communication skills to do some good in the world, and not just write for a paycheck.” Why she writes for Dressember is as simple as that - she wants to end human trafficking. And communication skills are definitely something she has. Rachel graduated from Biola University in May 2016 with her degree in journalism, focusing specifically on broadcast journalism. When she’s not saving the world one dress or line at a time, she works for the Department of Natural Resources & Environmental Control (DENREC) as the Interpretive Communications Coordinator at Delaware State Parks. ...which is a lot of words to say that she is a proud employee of Delaware State Parks! Rachel comes from a very connected, supportive family. Her older sister is an Air Force wife and is currently living with them while her husband is deployed in England. Her older brother, Austin, is a worship pastor and unembarrassable. He actually married a girl named Rachel, so as of last November, there are two Rachel Rohm’s in one immediate family. Her father is semi-retired, offering trucking consultations and delivery driving, but was a pastor when Rachel was growing up. Her mom is a middle school teacher at a small Christian school and a fantastic cook. They enjoy playing board games together - even if her dad acts like he doesn’t. In her free time, Rachel enjoys running, eating anything pumpkin, listening to (too many) podcasts (if there is such a thing), playing with her dog, Charlie - an eight-month-old puggle (pug and beagle mix) - and knitting. In fact, Rachel is planning on using her knitted scarves and hats as an incentive for her donors this coming Dressember! How cool and creative is that?! Rachel originally heard about Dressember through fellow students at Biola University in 2015. This past year, she realized she had exactly 31 dresses and challenged herself to wear each one. She didn’t quite achieve that, but this year she plans on limiting herself to one or two dresses, including one of the Dressember dresses - similar to what our founder Blythe Hill did during Dressember 2017. Rachel draws inspiration from female powerhouses Blythe Hill (don’t we all? ), her mom (a middle school teacher at a small Christian school and a fantastic baker), Tina Fey, Mindy Kaling, and Reese Witherspoon - or at least her iconic character Elle Woods. But she is also inspired by the strength of women in general, especially those who are marginalized and overlooked. We are so grateful for people like Rachel who want to use their gifts and talents to make this world a better, freer place for all people. 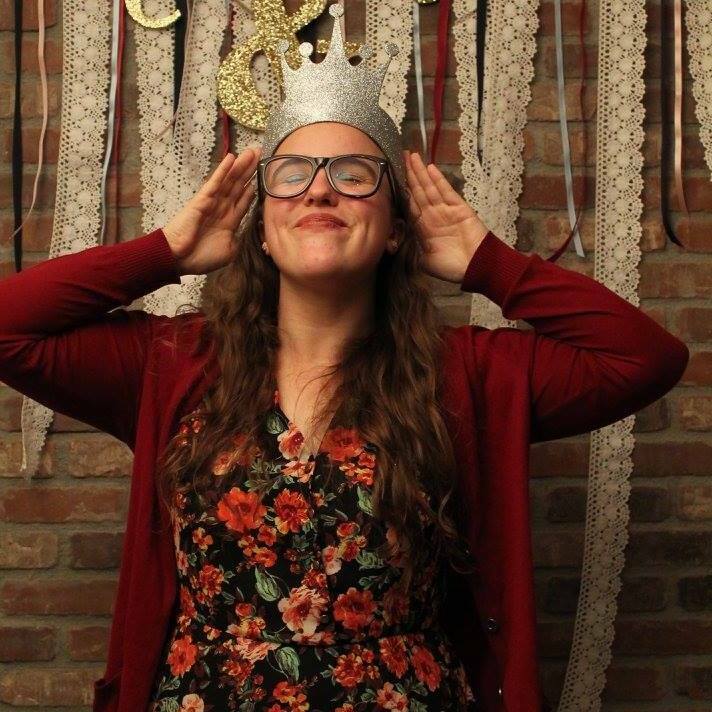 Rachel is passionate about ending human trafficking and is an amazing addition to our Dressember team!